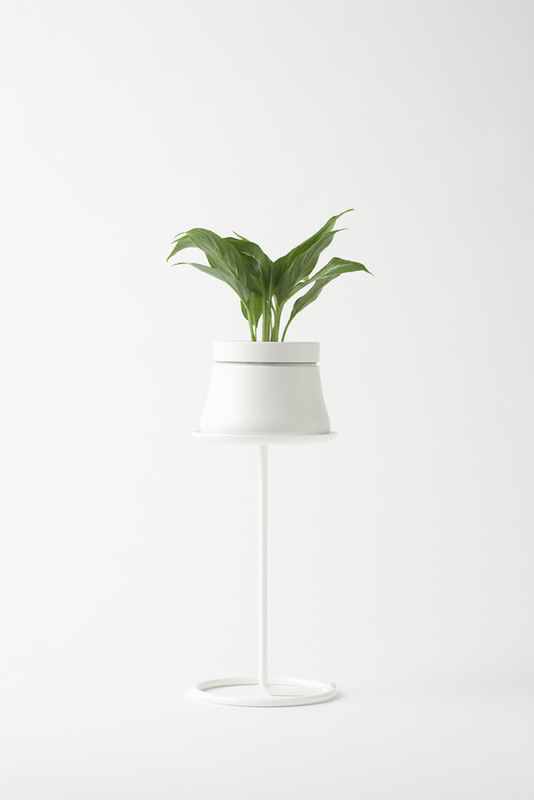 When office supply manufacturer Kokuyo decided to launch a new series of planters for indoor plants for the office, they asked nendo to come up with the design. 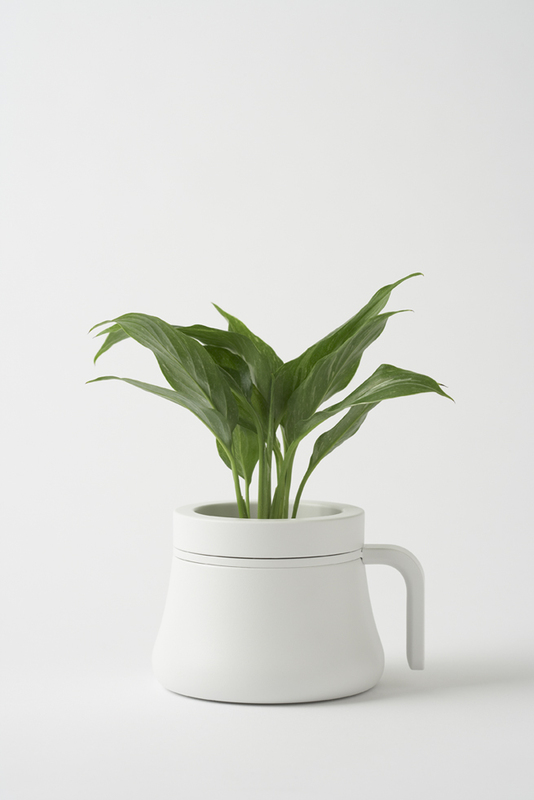 We reasoned that if the kinds of rugged planters that we use for outdoor plants are like tea or coffee mugs, then indoor planters should be like tumblers: safe to use, easy to maintain, and easy to fit into the office environment. 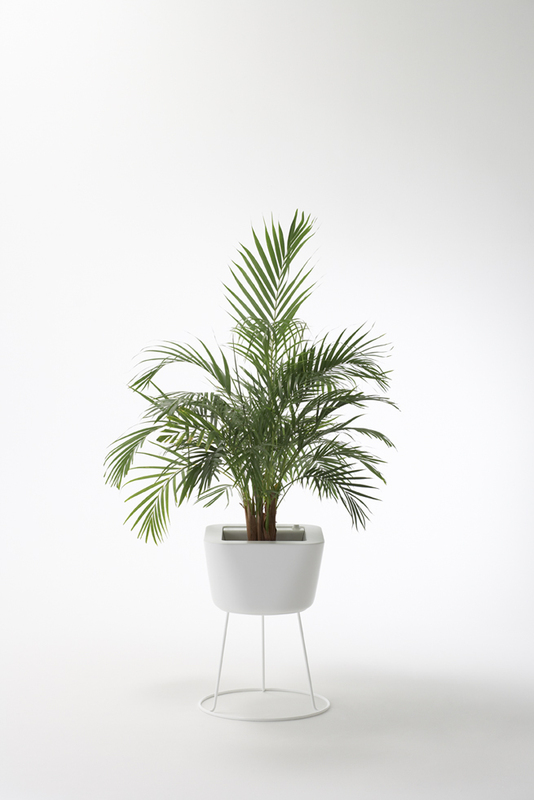 Our planters are all hydroponic for cleanliness and ease of upkeep, and come in three sizes -“short” for desktops, “tall” for cabinets, and “grande” for floor use, each with its own stand. 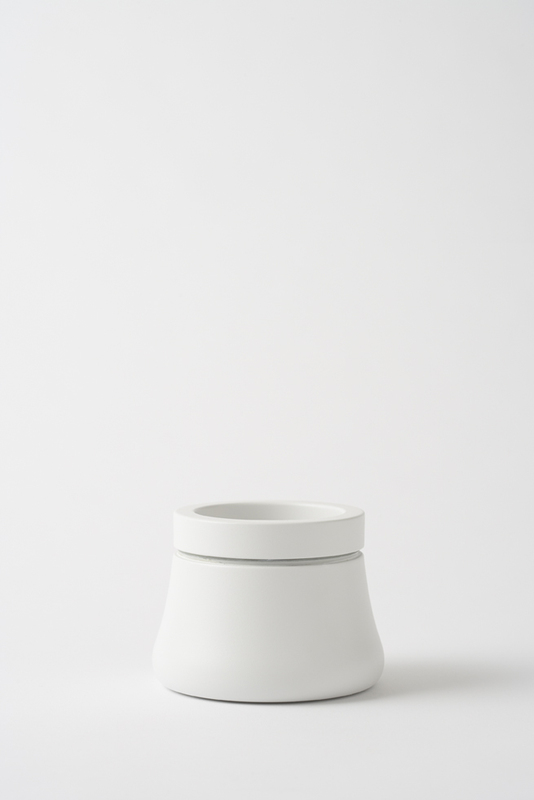 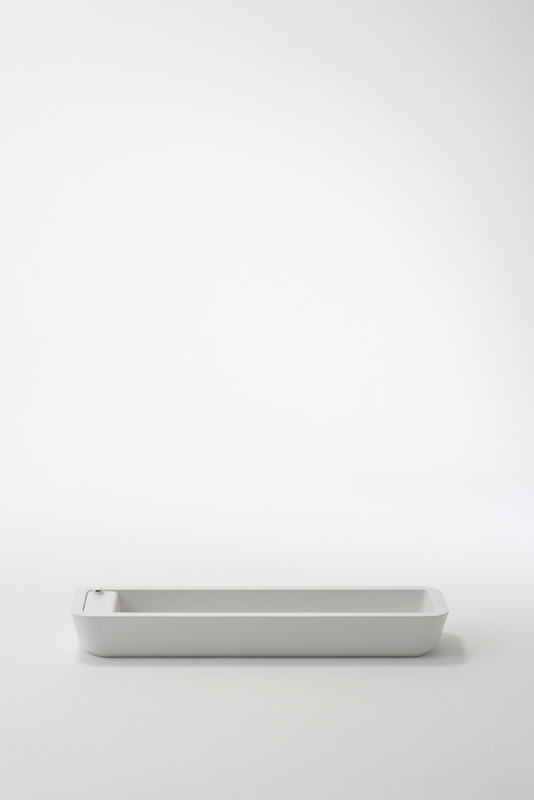 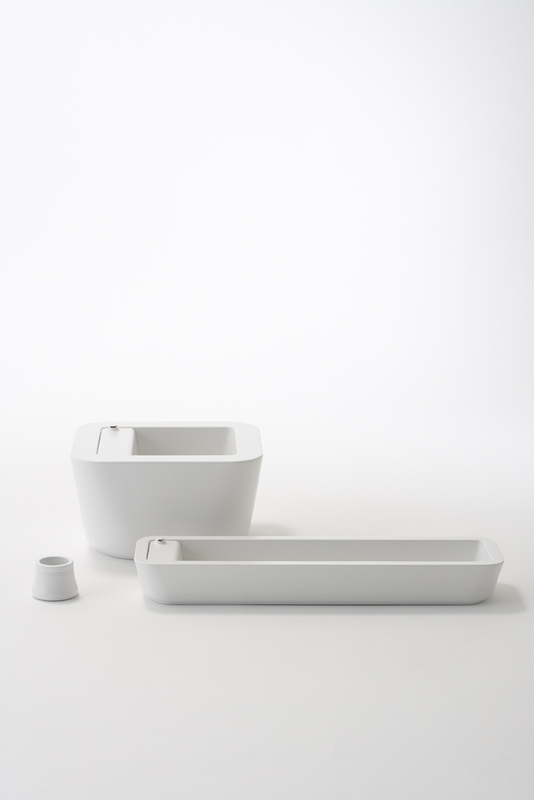 Every piece in the collection combines the rounded shape of pots and bowls for holding water with the straight lines of computers and other office equipment. 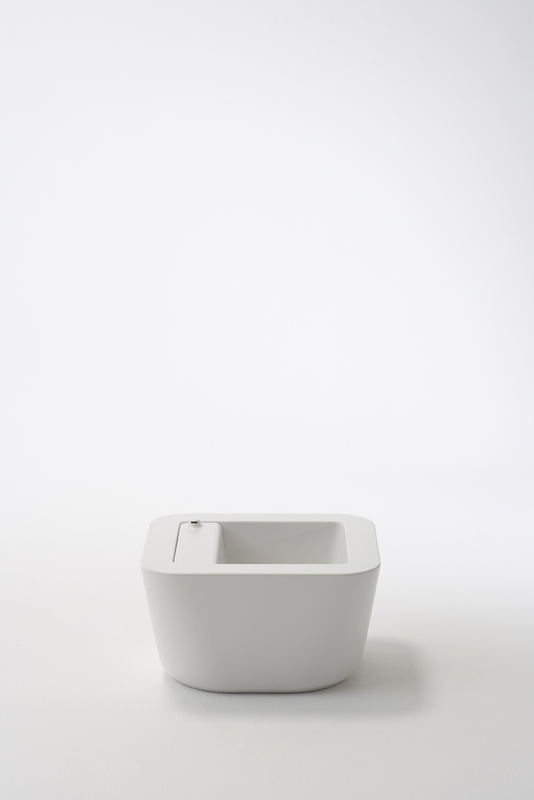 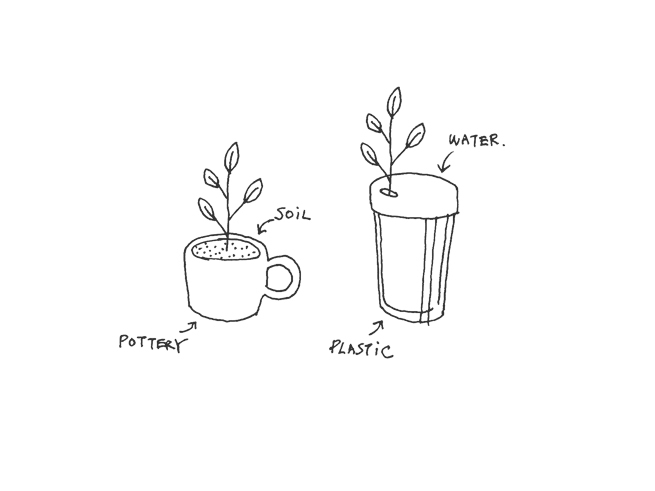 Users add water to the “short” planter by opening its lid, as though they were making a cup of coffee, and we added a handle for portability around the office as well. 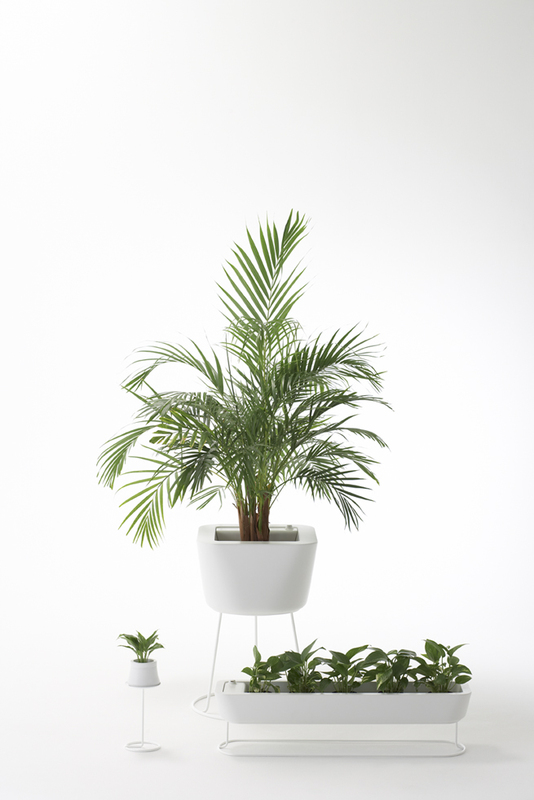 The “tall” and “grande” planters have oval water gauges that recall the shape of a tumbler’s spout. 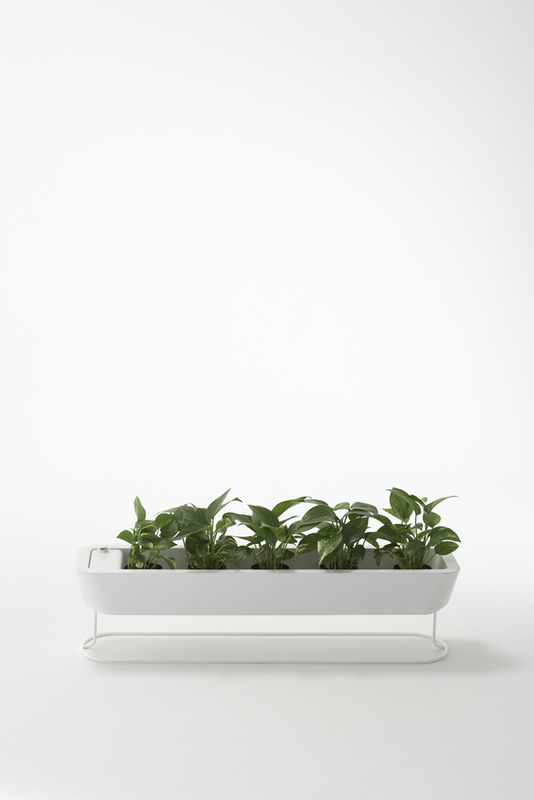 We designed the planters to accommodate a range of accessories to extend their functionality, so we’re looking forward to seeing how they develop too.